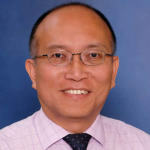 C S Liew is Managing Director of Pacific Agriscience, Singapore. See all author stories here. This is a very interesting article. Looking from my outside-Asian perspective (I’m based in Germany), I would have expected that your argumentation in this article is already common sense among the relevant players in this industry. Why is it that, for instance, the Chinese manufacturers won’t overcome their cultural conflicts with potential Indian business partners? I mean, they are businessmen, and aware of the potential threats and also the promissing business opportunities abroad. Furthermore, they already operate on world markets today and probably have some reliable experience with different cultures, too. I find it hard to believe that they would just keep going on and do nothing, as an alternative to going to e.g. India. Just imagining: If I was any of these manufacturers and threatened by these shutdowns and production restrictions, I would obviously take any possible opportunity to find and build a second and third pillar for my business. May it require to overthink my (cultural) habits and perhaps instilled/biased opinions? why wouldn’t I do so, if the alternative was losing money and my business. What could be worse? So do you belive they are indeed aware of their situation, and if yes would still not collaborate for cultural reasons only? Best regards and thank you again for your articles! Georg, excellent comments and questions! Thanks for these. My answers and comments to yours will be partly related to what I have to say in my speech at the Agribusiness Global Trade Summit to be held in Phoenix, Arizona July 31-Aug 2. The cultural differences between the Chinese and the Indians I mentioned in my article here are by no means the key reasons why they have not embraced each other, in a business sense of course. I just used some of the very obvious cultural differences to illustrate the fact that there are indeed these sorts of differences. The more deep-seated differences are not mentioned as some aspects could be rather sensitive, politically and commercially. These need to be discussed with me over a drink, or two! On top of that, you also have to contend with the political divide between India and China and some aspects are already stated in my article. Just so you and other readers of Agribusiness Global know, this article has been translated into Chinese and published by an industry journal in China and they placed it into a WeChat social platform as well as they own on-line platform and within two days, the article was taken off from WeChat! The publisher was just as flabbergasted and suggested that it could be because some key words such as India and China being mentioned in the same article being picked up and then of course the content was studied leading to it being censored from this social media! On your comments that it seems all common sense that the Chinese manufacturers ought to take the necessary actions to have a second plant or production site away from their current plant to mitigate risks of being shut down every now and then or perhaps even forever, you need to know the history of Chinese manufacturing and businesses. As recent as 1980, they were still 100% communists and the manufacturing plants there are still mostly owned and run by bosses who emerged from that era. Their command of English is limited and hence their understanding of foreign business and cultures are mostly based on what they were told by their accompanying export guys and girls who do the translations for them. And also based their own superficial observations from short trips to visit overseas customers. Without a deep understanding of foreign businesses, diverse cultures and risks and having the financial appetite to venture overseas, it is not easy for them to react and act in the way that you think they should. On top of what I have said above, there are also other deep-seated habits and practices that the Chinese need to shed or to change and adapt in order to have sustained success, or avoiding outright failures, in venturing overseas. Georg, there is a lot more to be said. You ought to go to Phoenix, Arizona on Aug 2 to listen to me speak at this event! Once again, I deeply appreciate your interest and comments on my article.